Bassett of Cool Springs features the best selection of Beds in Cool Springs, TN. We're able to show many more products in our online catalog than in our physical showroom, so please contact us for availability information. 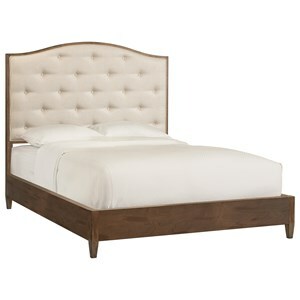 2564-F153 Low Profile Wood Footboard Queen 1 65" 2" 13"
2564-H153 Upholstered Headboard Queen 1 65" 3" 62"
2564-R153 Wood Rails Queen 1 82" 2" 8"